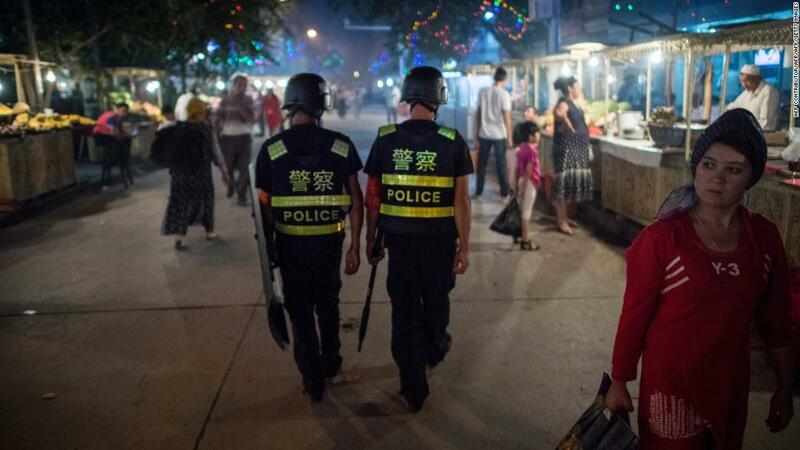 (CNN) China has accused the United Nations of relying on “unsubstantiated and irresponsible information” after an international committee released a damning report into the treatment of Uyghurs in China’s far-west region of Xinjiang. Some unconfirmed estimates from Uyghur groups based in the US claim the number of people detained in this fashion is over one million. This week, a bipartisan group of US lawmakers called for Chinese officials involved in alleged human rights violations in Xinjiang to be sanctioned under the Global Magnitsky Act. “The detention of as many as a million or more Uyghurs and other predominately Muslim ethnic minorities in ‘political reeducation’ centers or camps requires a tough, targeted, and global response,” they said in a letter to Secretary of State Mike Pompeo. Tensions have increased between Washington and Beijing in recent months over an ongoing trade war, with both sides imposing heavy tariffs on each other’s imports. US President Donald Trump has also accused China of interfering in stalled denuclearization talks on the Korean Peninsula, though this week Pyongyang blamed Washington for the status of the negotiations and called on Trump to honor commitments made during his meeting with North Korean leader Kim Jong Un in Singapore in June.